There’s no question that prior planning makes things easier, and Migraine attacks are no exception. When we have a Migraine, there are things we need immediately, without having to look for them for 30 minutes. This makes is advantageous to MAP our Migraines with a Migraine Attack Plan. 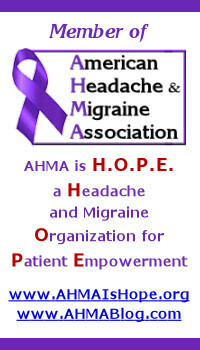 For information on the elements of an effective MAP, continue reading MAPPing Migraines: Migraine Attack Plan and Pack. Next week, in part II, we'll tell you how to build your Migraine Attack Pack.